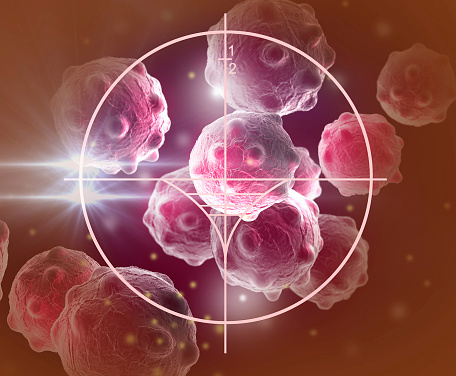 In a recent study published in the journal Oncotarget, researchers describe how a certain drug duo can enable cell death in lab cultures of Ewing sarcoma cancer cells. The tumor cells in Ewing sarcoma, a rare type of bone cancer disease that mainly affects children and young adults, have to repair their faulty DNA to survive. Researchers from Bellvitge Biomedical Research Institute in Barcelona, Spain have discovered two drugs that have the potential to interfere with the repairing process and kill the cancer cells. The study illustrates how Ewing sarcoma could be sensitive to a group of drugs called PARP inhibitors when combined with DNA repair agents. Researchers tested the PARP inhibitor drug Olaparib, which can block the action of PARP1, a gene that can trigger DNA repair. The other drug was Trabectedin, which causes breaks and abnormal DNA structure in the cancer cells and can activate cell death. The effects of both drugs combined together were tested. Researchers ran two sets of tests—one on cancer cells (in vitro) and the other on mice implanted with grafts of human Ewing sarcoma tumors (in vivo). Researchers concluded that the combination of both drugs resulted in cell death and tumor regression. Ewing sarcoma tumors tend to grow in several places: the hipbones, the ribs, or in the central portions of the legs or arms, most commonly. In rare cases, they can also grow in the spine and the tissue around the spine. In the U.S., about 250 children and teenagers are diagnosed with Ewing tumors each year. The five-year survival rate is moderately high if the tumor does not spread, rounding out to 70%; if the tumor does spread, the survival rate drops to less than two-and-a-half years. Paddock, C., “Drug combo shows promise against rare bone cancer,” Medical News Today web site, July 7, 2015; http://www.medicalnewstoday.com/articles/296365.php.